Create a team of people who share your vision and can help you develop a school. You need people who can help you develop a strong educational program and a successful small nonprofit business. At a minimum, your founding group should include: educators, business/financial managers, active community members and parents. Consider a lawyer, people involved with other charter schools, people who have served on nonprofit boards. Access other experts, as needed. With your team, develop your school’s mission. What students will it serve and how? What is your approach to teaching and learning? Why is this school a strong alternative for promoting high student achievement? In what ways is the school designed to meet one or more of the purposes of the charter school law? Conduct a market analysis to determine whether there is a need for your program and interest among parents and students in your community. The charter proposal forces you to think through all the elements of operating a strong charter school. This includes, first and foremost, your educational program and student achievement goals, but also covers issues of governance, staffing, financial management and operations. Refine and articulate your school’s vision and mission. Identify members of interim board of directors and committee structure. Develop your school design, including curriculum, instructional methods and assessments. The learning program should be research-based and aligned with Minnesota’s academic standards. Plan for how the school will serve students with special education needs and students and families with limited English language ability. Develop expectations for parent involvement. Parents should be involved early and often. Develop clear and measurable goals for student achievement (both academic and nonacademic), and identify how progress towards those goals will be measured. Become familiar with state testing requirements. Determine the composition and responsibilities of staff. Become familiar with state licensure requirements. Consider facilities needs and availability. Develop a three-year projected budget with a positive fund balance. Revenue should be based on projected enrollment, state and federal funding streams and any other projected revenue. Expenses should cover the range of expenses related developing and operating a school. Build support for the school within your community. Identify an organization that agrees to serve as your sponsor. Negotiate and enter into contract with your sponsor. This must be done within 90 days of charter approval. 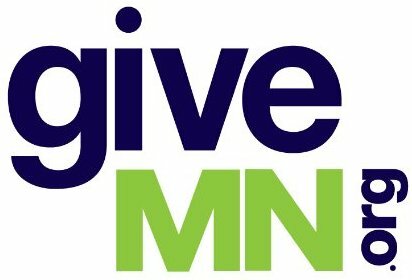 Submit application to the Minnesota Department of Education for start-up funds through the Federal Charter School Grant Program. This application is due approximately two months from the date yousubmit your charter application. There is a lot to do during the period between charter approval and school opening, which usually lasts 1-2 years. Although you can’t plan for everything, the extent to which you have good systems in place when you open will affect your ability to focus on promoting student achievement and to adjust to (the inevitable) unexpected situations. Of the many things you need to do to implement a strong program, four are especially critical. They are: 1) hiring a school leader/leadership team; 2) securing a facility; 3) developing the educational program; and 4) recruiting students. Recruit, hire and train staff well-qualified to implement your program and, for instructional staff, who meet the state licensure requirements. Hire consultants, as necessary. Develop personnel policies and procedures. Develop plans for ongoing professional development. Develop employee benefits package. Identify and secure appropriate facility and make renovations, if necessary. Develop learning program, aligned with Minnesota academic standards. Refine accountability system to include clear, measurable goals and objectives and ways to measure progress. Identify short, medium and longterm goals and use multiple measures to determine progress, including those required by the state. Establish system to collect baseline data. Retain special education director and formalize plan for providing services to students with special needs. Develop student/parent handbook, student code of conduct and discipline policies. Develop forms for collecting student data and for student activities. Build a strong, shared school culture among the staff, board and families. Develop plans for ongoing parent involvement. Develop admissions policies, enrollment forms and marketing materials. Recruit students. Continue to build support for school within community. Legally establish school as a Minnesota nonprofit corporation or cooperative and obtain Federal tax-exempt status and state sales tax exemption. Draft By-Laws governing the operation (and election) of the Board of Directors. Purchase equipment, furniture, materials and supplies. Finalize policies and procedures for transportation and food service. Establish systems for financial management, accounting and reporting. Develop 3-5 year budgets and cash flow analyses (have several projections based on different enrollment figures). Open a bank account and develop internal controls policies. Establish relationship with lender for bridge financing, line of credit, etc., if possible. Develop a business plan. Develop systems for reporting financial and student data to state. Obtain appropriate insurance, including Directors and Officers, general liability and property insurance. Identify sources of financial support and access available funding.